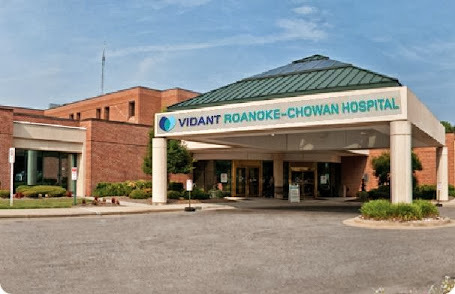 Vidant Roanoke-Chowan Hospital is a 114-bed, not-for-profit hospital located in Ahoskie, NC. The 15-bed ER serves approximately 21,000 patients per year from the local community and surrounding towns. This modern facility provides a wide range of health services to its 39,000 residents in the four-county area. Ahoskie, NC is ideally located an hour from the Norfolk/Virginia Beach area and two hours from Raleigh, Richmond, Williamsburg, and the beautiful Outer Banks of NC. Ahoskie offers a moderate cost of living, a strong sense of community, and a temperate climate and location to support a variety of year round outdoor activities, such as boating, kayaking, hunting, fishing, hiking, and golf. Demonstrates the knowledge and skills necessary to provide care appropriate to the patient population. Systematically assesses patient’s overall clinical status. Acquires and evaluates clinical data from studies, measurements, and monitoring, with consideration for the age and diagnosis of the patient, and reports to/consults with MD as needed. Initiates a nursing care plan upon admission identifying primary problem, other active problems, goals and interventions. Updates care plan at least once per shift relative to the progress toward goals and progress toward meeting discharge criteria. Initiates nursing care, evaluating and monitoring patients' responses to such care, and modifying the prescribed therapy, involving MD when warranted, to achieve desired therapeutic objectives. Provides/records all patient and family education based on learning assessment in patient medical record. Identifies need for and initiates referrals as dictated by patient status. Provides nursing and ordered therapeutic interventions according to current standards of care. Continually seeks to improve quality of services provided and actively participates in unit-based as well as hospital and/or Vidant-based quality initiatives. Demonstrates financial stewardship by carefully and responsibly assisting in the management of the financial well-being of our organization through submission and implementation of cost-saving ideas, avoidance of waste in supply and/or medication use, adherence to staffing matrixes and effective time management and prioritization. Provides/records all patient and family education in patient medical record. Incorporates department protocol driven care appropriately to direct clinical practice. Uses universal precautions appropriately and performs proper handwashing according to infection control policy. Maintains confidentiality of patient information. Uses department “scripts” to effectively communicate with other departments, patients, families, coworkers and students in person or over the phone. Participates in life-support activities as required, responding to RRT and Code Blue emergencies as per unit/department protocol.Demonstrates safe operation of all equipment in compliance with department policy, safety, disinfection, infection control and quality control standards. As directed by the supervisor may have additional responsibility as charge nurse and/or preceptor for students and/or new employees. Demonstrates effective computer skills for electronic charting, billing (as appropriate for department) and order processing. Participates in Inservice Education, Patient Rounds/Conferences and obtains education contact hours necessary to maintain licensure. Demonstrates a commitment to ongoing growth and self-development by independently seeking learning opportunities throughout employment at VROA. Actively participates on Staff Action Team. Basic Life Support (BLS) Certification. Current RN licensure in the state of North Carolina or temporary North Carolina licensure or meet requirements to hold RN licensure in a compact state. American Heart Association issued CPR Healthcare Provider Certification.